Euro has completed a descending structure as a correction. We think, today the price may form another ascending structure to reach level of 1.2582. Later, in our opinion, the market may consolidate and form a continuation pattern. 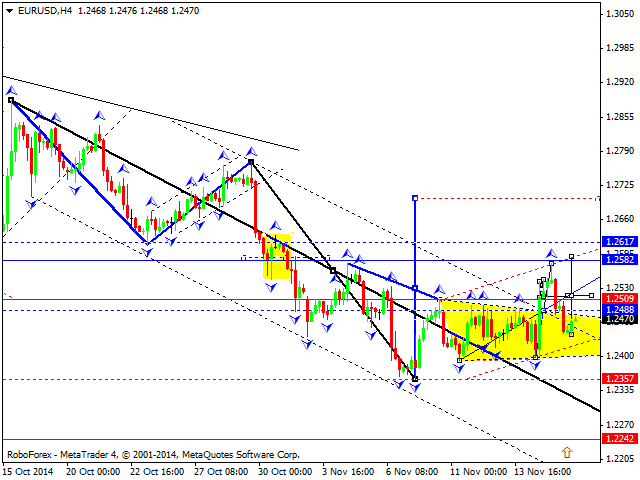 The next target is at level of 1.2615. Pound has finished its correction and is expected to form the third ascending wave to break the top of an ascending impulse. We think, today the price may reach level of 1.5783. Later, in our opinion, the market may consolidate and form a continuation pattern. 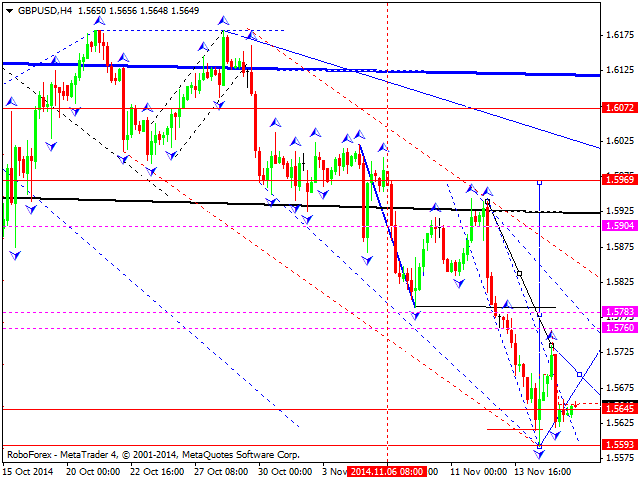 The next target is at level of 1.5900. Franc has completed its correction and right now is moving inside a descending structure towards level of level of 0.9545. Later, in our opinion, the market may consolidate and form a continuation pattern. 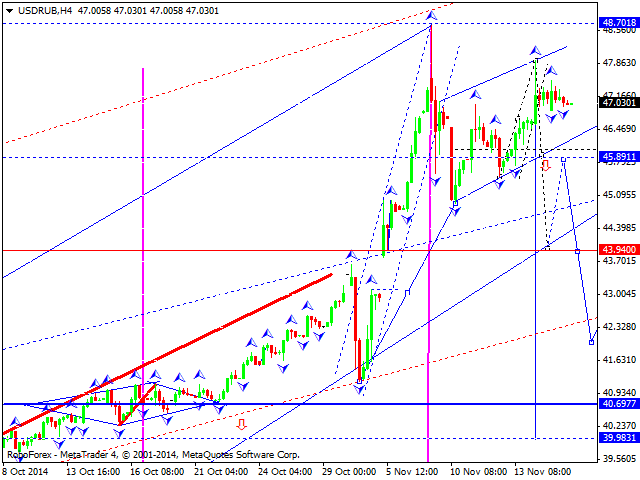 The next target is at level of 0.9430. Yen has reached the target of its correction. We think, today the price may form another descending structure. However, we can’t rule out the possibility that the pair may extend an ascending structure to reach a new high and, thus form double top pattern. Later, in our opinion, the market may start falling towards level of 113.75. 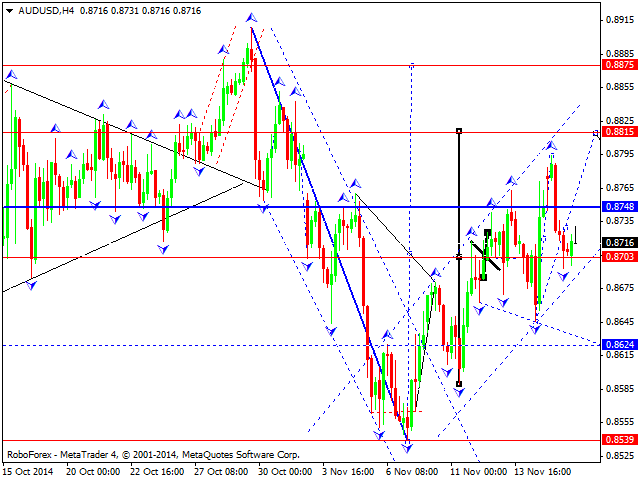 Australian Dollar has fallen towards the center of its continuation pattern. 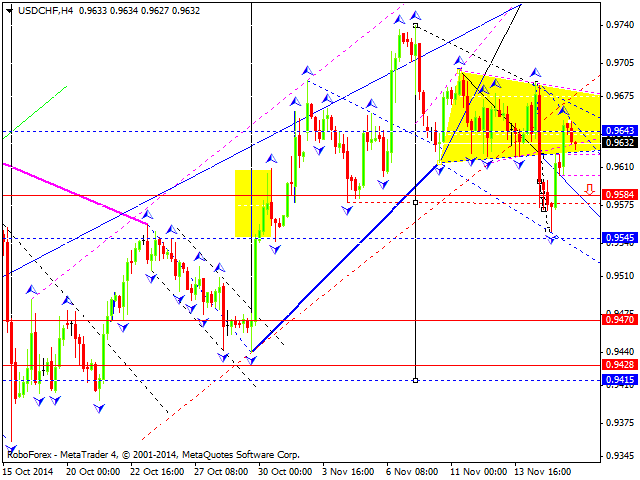 We think, today the price may move upwards to reach level of 0.8815. After that, the pair may form a descending correction towards level of 0.8700 and then start growing to reach level of 0.8875. Ruble is forming a consolidation channel. 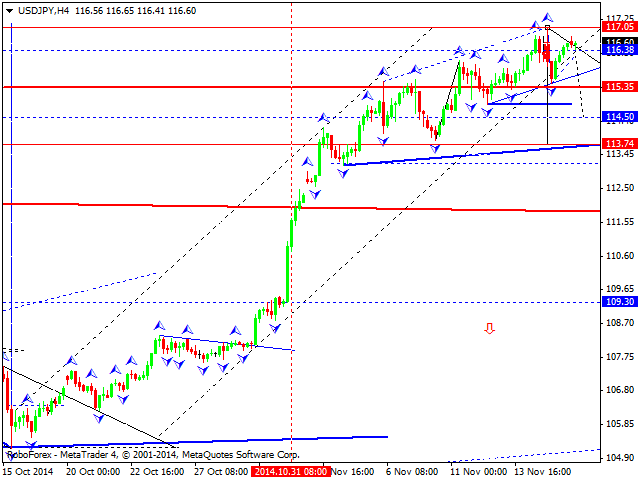 We think, today the price may form another descending structure towards level of 45.89. Later, in our opinion, the market may consolidate and form a continuation pattern. The next target is at level of 43.90. 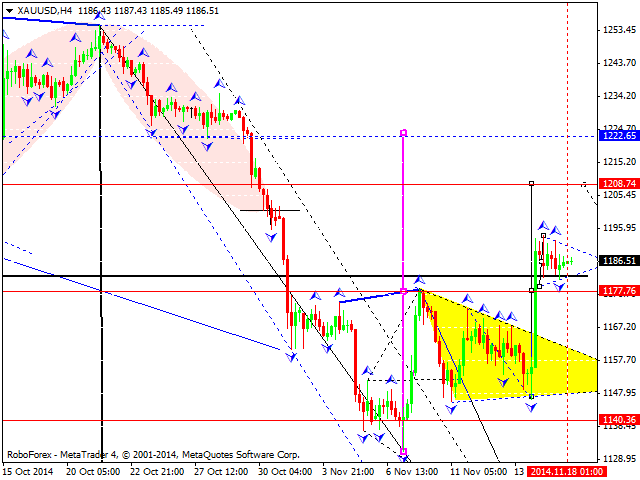 Gold is still forming a consolidation channel, which may be considered as a continuation pattern. We think, today the price may reach level of 1208. Later, in our opinion, the market may form a correction to return to level of 1178 and then move upwards to reach level of 1223.